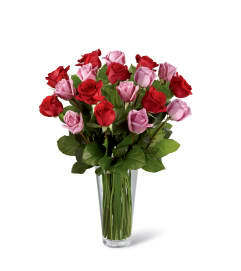 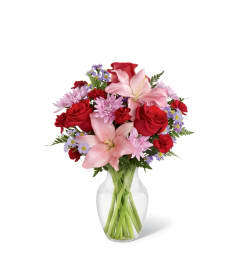 The FTD® In Love with Red Roses™ Bouquet is a classic way to send your love this coming Valentine's Day! Rich red roses are elegantly arranged amongst lush, vibrant greens to create a stunning bouquet that expresses your love and affection with each crimson bloom. 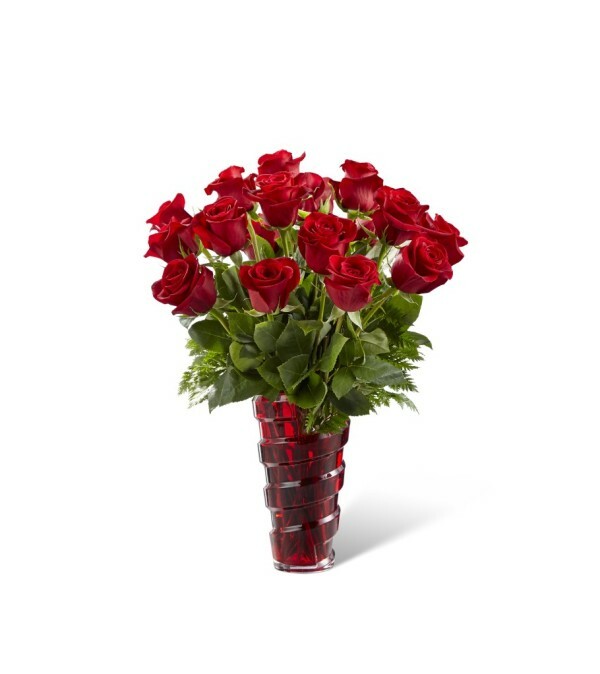 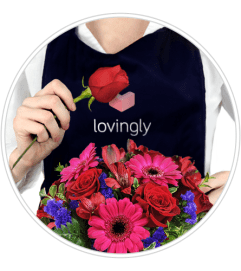 Presented in a keepsake red glass vase with a spiral design starting at the base and looping up to the top to give it a modern styling they will love, this gorgeous red rose bouquet is ready to sweep your sweetheart off their feet this coming February 14th.